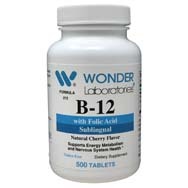 Per National Institutes of Health (NIH), B12 is necessary for many of your crucial body functions, such as proper red blood cell formation, DNA synthesis, and neurological function. 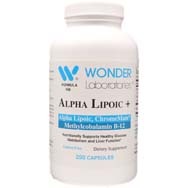 There’s a lot going on there and plenty to keep in mind as Wonder Labs puts its focus on vitamin B12 this Thursday, December 6. 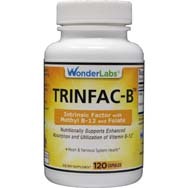 Now it’s up to you to put your focus on B12 for 365 days a year, assuming you are serious about your health. What Is Vitamin B12 and How Does It Work? 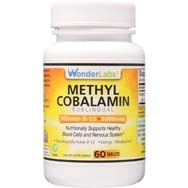 Also known as cobalamin – because it contains the mineral cobalt – vitamin B12 is a water-soluble vitamin. It is naturally present in some foods, can be added to others, and is available in dietary supplemental form, and even as a prescription medicine. 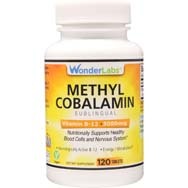 It can be found in several forms, to include methylcobalamin and 5-deoxyadenosylcobalamin, which are the two vitamin B12 forms that are involved in human metabolism. 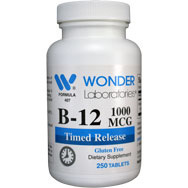 Once B12 is ingested, it binds with the protein in food and then is released to be distributed in our body by the activity of the stomach’s hydrochloric acid and gastric protease. Vitamin B12 that comes in supplemental form or synthetic form added to foods is already in free form and doesn’t need to go through the stomach process described above. “Free vitamin B12 then combines with intrinsic factor, a glycoprotein secreted by the stomach’s parietal cells, and the resulting complex undergoes absorption within the distal ileum by receptor-mediated endocytosis,” per NIH. 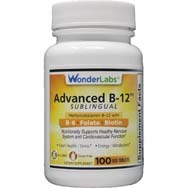 How Does B12 Benefit Our Health? One of the most significant ways in which B12 benefits your body is by supporting the central nervous system by helping to maintain the health of nerve cells, such as those involved in neurotransmitter signaling, while also aiding in the formation of myelin sheaths, which are the protective coverings of nerves. So when B12 levels are down, cognitive function can decline. Energy levels. The carbohydrates we consume are converted into glucose once inside the body, and it is glucose that fuels much of the energy we need to function. That conversion of carbs into glucose is in large part supported by B12, thus benefiting your metabolism. Heart health. The presence of B12 aids in bringing down homocysteine levels, which have been pegged by scientists as a prominent risk factor for heart disease. 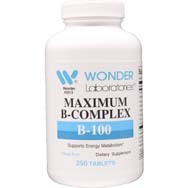 As an amino acid, homocysteine’s levels in your bloodstream are influenced by the blood levels of B-complex vitamins, such as B12, per draxe.com. Digestion. Our gut contains both good and bad bacteria, and your goal should be to make sure that the former holds its own against its “bad” counterpart. Vitamin B12 can help in that regard by promoting the growth of healthy bacteria in the gut, which plays a role in preventing conditions such as inflammatory bowel disease and candida. Shiny, healthy hair. B12 has been added to many types of hair-care products for its role in the health of red blood cells, which take oxygen to the cells, to include those of hair and hair follicles. 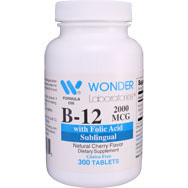 B12 also is a requisite for melanin production, as the amino acid assists in maintaining the color of hair pigments. Prevent insomnia. A good night’s sleep is dependent on the availability of melatonin, whose existence requires the manufacturing services provided by B12. As we age, our body becomes less efficient at producing melatonin, so upping your intake of B12 can help in that regard, per dailyhealthlifestyles.com. Brain health. Earlier we mentioned how high homocysteine levels can be a risk factor for heart health; ditto for brain health. Per dailyhealthlifestyles.com, multiple studies have shown a correlation between high homocysteine levels and premature brain deterioration. Reducing those levels can help hold off mental decline. Healthy pregnancy. B12 contributes to the production of nucleic acid (DNA), which is the fundamental genetic material used in the creation of your entire body. Mood booster. In helping to regulate the nervous system, vitamin B12 also can smooth out conditions such as depression and anxiety. Working in collaboration with folate, B12 is a key determinant of one-carbon metabolism, which produces S-adenosyl methionine (SAM), a compound needed for neurological function as it relates to stress and mood regulation, per draxe.com. 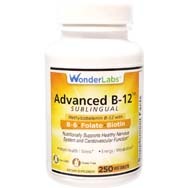 Other potential health benefits of B12 may include prevention of anemia, maintaining muscle tone, weight maintenance, and inhibition of auto-immune diseases. One final note – if you feel it necessary to start supplementing your diet with vitamin B12, first go and discuss it with your doctor. Play it safe.